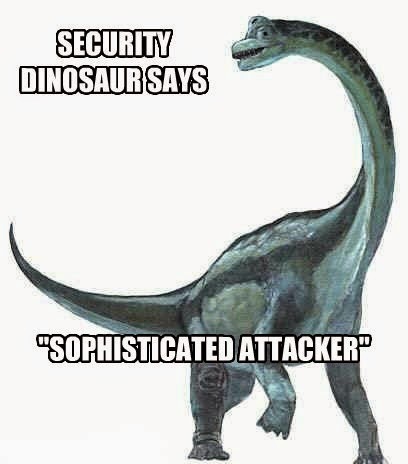 Attackers are only as sophisticated as they need to be, and considering the sorry state of most organizations' security that means most are not very sophisticated at all. Oh, it's not a secret, it's just "undisclosed"
from here (image source ) I wonder if Brian Krebs has covered this style of ATM skimmer. How many ways can we say it? You Didn't Really Need Privacy, Did You? I Can See The Evidence, Can You See The Evidence?